9th North Watford Scout Group » Privacy is the website of the 9th North Watford Scout Group, based in Hope Green, Woodside. 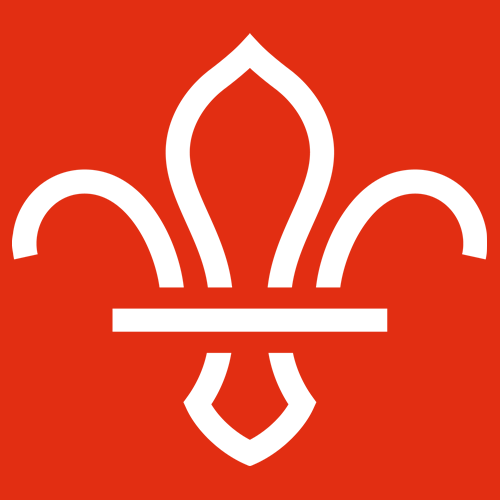 We are in the Watford North Scouts District and Hertfordshire County. We are a registered charity in England, and our charity number is 302601. We have done what we can to make this website as accessible as possible – but please let us know if there is any way that we can make it easier for you to use! If you have any questions about this website, please contact the webmaster. 1.1. Access to and use of 9thnorthwatford.co.uk (the website) both within the UK and internationally is provided by 9th North Watford Scout Group (9thNW). These terms apply to your use of the website and shall take effect immediately from your first use of the website and thereafter. Please note, in order to use the website you must agree to be bound by all the terms provided (Please note, if you do not agree to be bound all the terms herein, 9thNW does not permit you to access, use and/or contribute to the website). 1.2. 9thNW may change these terms from time to time and so you should check these on a regular basis. Your continued use of the website will be deemed acceptance of any updated or amended terms. If you do not agree to the changes, you should cease using the website. If there is any conflict between these terms and specific local terms appearing elsewhere on the website then the latter shall prevail in relation to the matter to which it specifically relates. 2.1. You agree to use the website only for lawful purposes and in a way that does not infringe the rights of, restrict or inhibit anyone else’s use and enjoyment of the website. 3.1. All copyright, trade marks, design rights, patents and other intellectual property rights (registered and unregistered) in and on the website and all content (including all applications) located on the website shall remain vested in 9thNW or its licensors (which includes other users). 3.2. You may not copy, reproduce, republish, disassemble, decompile, reverse engineer, download, post, broadcast, transmit, make available to the public, or otherwise use website content in any way except for your own personal, non-commercial use or non-commercial use directly related to Scouting within the UK. You also agree not to adapt, alter or create a derivative work from any website content except for your own personal use. Any other use of the website content requires the prior written permission of 9thNW. 3.3. The names, images and logos identifying 9thNW, The Scout Association (TSA), Scout Shops, Scout Activity Centres or third parties and their products and services are subject to copyright, design rights and trade marks of TSA, 9thNW and/or third parties. Nothing contained in these terms shall be construed as conferring any licence or right to use any trade mark, design right or copyright of 9thNW or any other third party. 4.1. By sharing any contribution (including any text, photographs, graphics, video or audio) with 9thNW you agree to grant to the 9thNW, free of charge, permission to use the material in any way it wants (including modifying and adapting it for operational and editorial reasons) for 9thNW’s services in any media worldwide (including on 9thNW’s site accessed by international users). In certain circumstance 9thNW may also share your contribution with trusted third parties. 4.3. In order that 9thNW can use your contribution, you confirm that your contribution is your own original work, is not defamatory and does not infringe any UK laws, that you have the right to give 9thNW permission to use it for the purposes specified above, and that you have the consent of anyone who is identifiable in your contribution or the consent of their parent/carer if they are under 16. 4.4. 9thNW my show your name with your contribution, unless you request otherwise, but for operational reasons this is not always possible. 9thNW may need to contact you for administrative or verification purposes in relation to your contribution, or in relation to particular projects. 4.5. Please do not endanger yourself or others, take any unnecessary risks or break any laws when creating content you may share with 9thNW. 4.6. If you do not want to grant 9thNW the permission set out above on these terms, please do not submit or share your contribution to or with the website. 5.1. The website content, including the information, names, images, pictures, logos and icons regarding or relating to 9thNW, its products and services (or to third party products and services), is provided ‘AS IS’ and on an ‘AS AVAILABLE’ basis. To the extent permitted by law, 9thNW excludes all representations and warranties (whether express or implied by law), including the implied warranties of satisfactory quality, fitness for a particular purpose, non-infringement, compatibility, security and accuracy. 9thNW does not guarantee the timeliness, completeness or performance of the website or any of the content. While we try to ensure that all content provided by 9thNW is correct at the time of publication no responsibility is accepted by or on behalf of 9thNW for any errors, omissions or inaccurate content on the website. 5.2. 9thNW does not warrant that functions available on the website will be uninterrupted or error free, that defects will be corrected, or that the website or the server that makes it available are free of viruses or bugs. You acknowledge that it is your responsibility to implement sufficient procedures and virus checks (including anti-virus and other security checks) to satisfy your particular requirements for the accuracy of data input and output. 1. To hold Members’ login information. This option can be turned off by switching the “Remember Your Password” option to “No” in your registration details. 2. To ensure the best use of the www.9thnorthwatford.co.uk Service by Members, by means of a temporary cookie. These cookies disappear when the Member’s browser session ends, or if the Member clicks the “sign off” text.